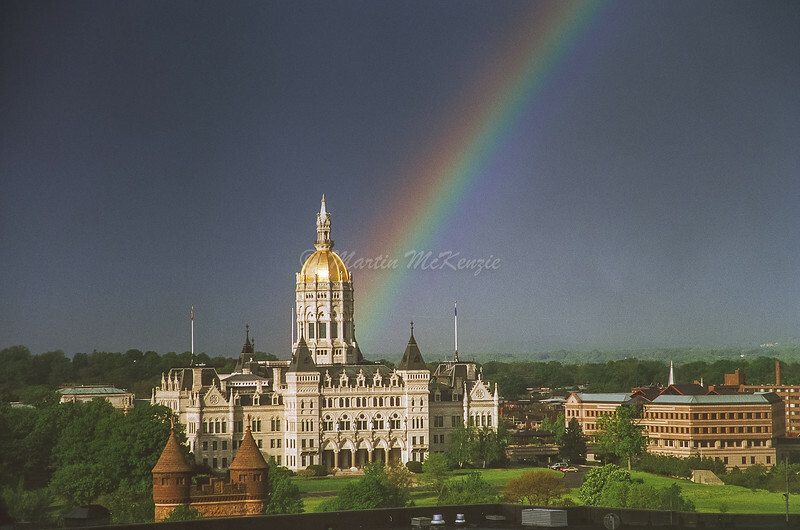 "Rainbow over Hartford, CT "
By happy accident I noticed this image just after a thunderstorm in Hartford, CT in May of 2000. I took a couple images, this was technically the strongest one and after processing the negative it turned out nicely as a printed image! Numerous clients have been enjoying its' use in their add campaigns for over a decade. High resolution versions available @ reasonable terms.